Every bedroom needs a bed that not only offers comfort and stability, but a lovely aesthetic as well. 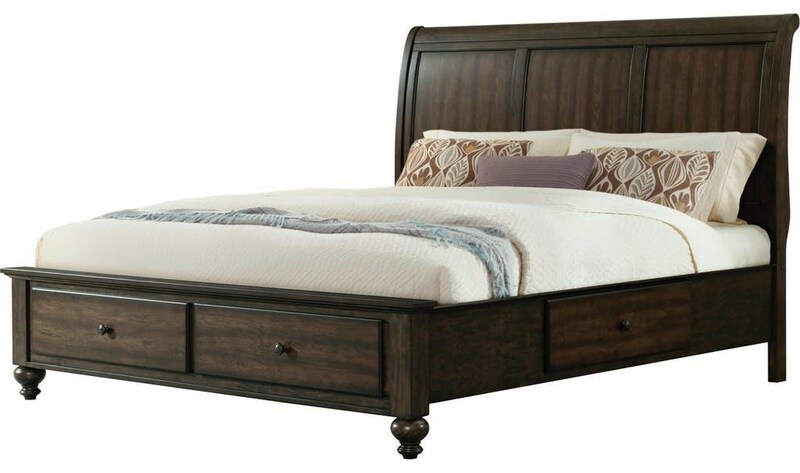 This sleigh bed features a paneled headboard and footboard with under storage. Supported by traditional bun feet, your bedroom is sure to have that subtle classic feel so often desired. The warmth of the Ash Gray finish completes the piece, giving your bedroom a rich, welcoming personality. Bed available in King and Queen sizes. The Chatham King Gray Bed with Storage by Elements International at Great American Home Store in the Memphis, TN, Southaven, MS area. Product availability may vary. Contact us for the most current availability on this product.